High Density Coreless Trash Can Liners - Great for paper and blunt objects. Uses less plastic than low density can liners. Eco Friendly Can Liners - Great for compostable refuse. Reduces plastic waste in the environment. 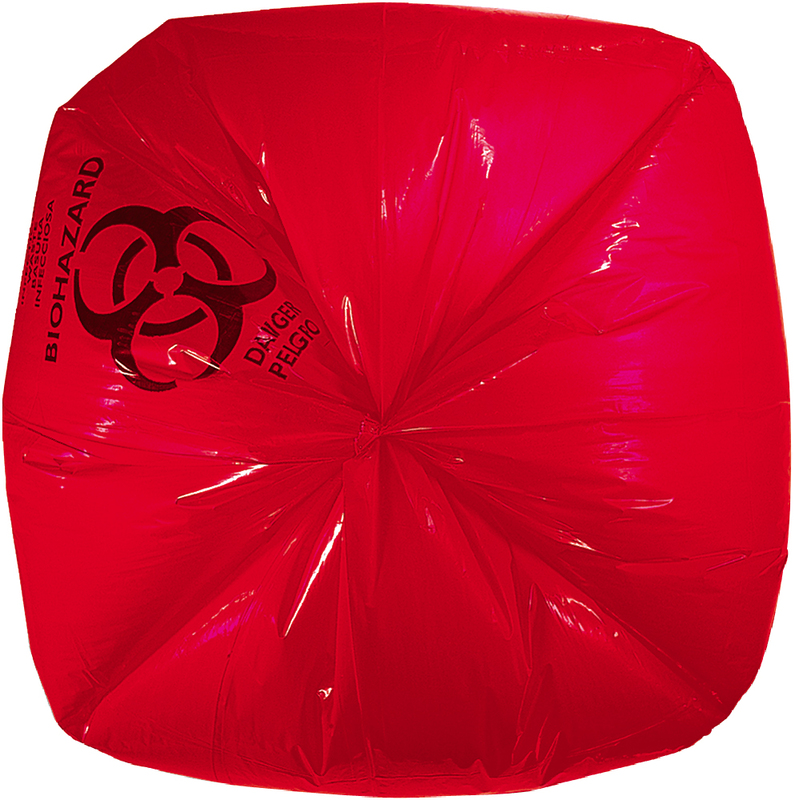 Infectious waste bags alert others of the biohazardous waste contained within and ensures correct handling. Choosing the correct Size Waste Can Liner can Save Money and Contribute to Source Reduction. Recommended for sharper objects under tougher transport conditions. Linear low density can liners have excellent resistance to punctures and tearing. Great for paper and non-sharp objects under moderate transportation conditions. Uses less plastic than linear low density can liners. High density can liners have excellent resistance to puncture and high resistance to tearing. Gauge is a term used to describe thickness. 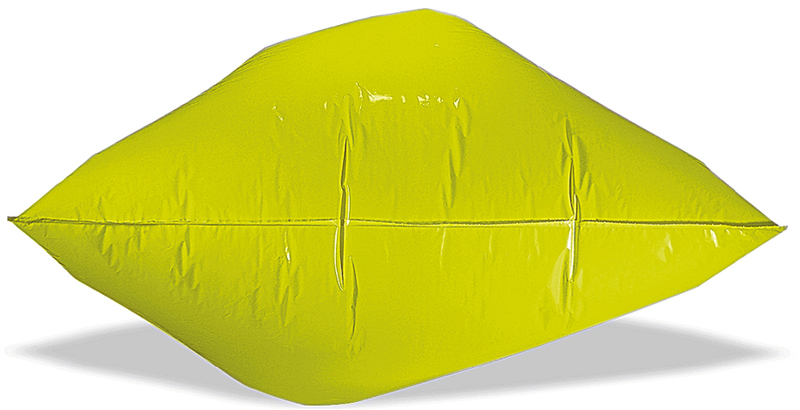 Film thickness is no longer the standard for judging plastic can liner strength. Advanced resins and additives have allowed manufacturers to produce thinner, lighter can liners that are stronger than thicker trash can liners made from lesser quality materials. Linear Low-Density Can Liners (LLD) are measured by mil thickness; High-Density Can Liners (HD) are measured by Micron thickness. Step 1: Determine the proper can liner for your application. Excellent stretch properties making them highly resilient to puncture and tears. Great choice for garbage with sharp and jagged edges. strength and stretch properties make them a wonderful multipurpose trash bag. Economical choice for heavy, wet trash and soft refuse. Step 2: What size can liner to I need? 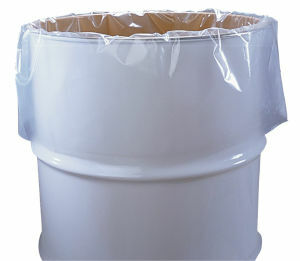 Trash receptacles usually have a gallon capacity, or size printed on the bottom of it. The first number in our bag measurements is the width of the open end / top of the bag when it is laid flat. This would be half of the circumference. The next measurement is the length of the bag from top to bottom. Example: a 38” x 58” bag will have a 76” (38” x 2) circumference and a top to bottom measure of 58”. Use these methods for determining the circumference of your trash container to see what trash bag would work best. Keep in mind that you can have a longer or taller trash bag than a the trash can, but you really do not want your bags to go shorter, as they will fall inside of your container. Square Container Circumference: Circumference = sum of all four sides added together. Round Container Circumference: Circumference = diameter multiplied by 3.14. Bag Length: (round & square containers) add the height of the container, plus 4-5 inches for overhang. Step 3: How much weight does the waste can liner need to hold? To determine the strength needed for your trash can liner, estimate the average weight of a full trash can liner in your application and match it to the max load capacity listed for each liner. Knowing a little about can liner can help you decide which can liner will not only work best for your part, but also save you money in the long and short run. Resin is the main raw material used in manufacturing plastic bags. The two basic types of resins used in trash bag manufacturing are Low Density and High Density. Linear Low Density can liners are made from high quality resins that are highly resistant to puncturing and tearing. The exceptional strength and stretching properties of Linear Low Density can Liners make them perfect for kitchen trash that may include glass, metal, cardboard boxes or sharp, irregularly shaped objects. different types of plastic resins that comprise Linear Low Density polyethylene include butane, hexene and metallocene. High Density Trash Can Liners are made from high molecular density resins. 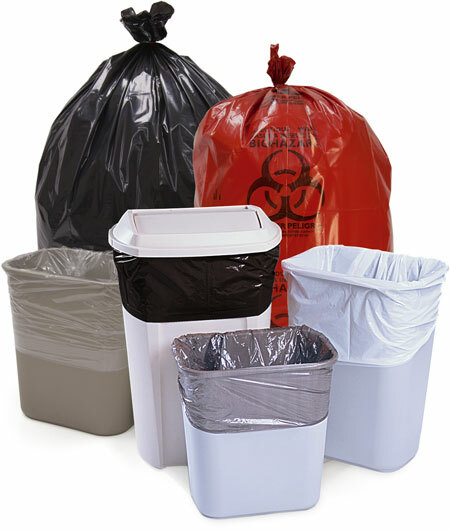 High Density trash bags are great for the office, restroom, or any type of trash that does not include sharp edges. High Density trash bags are also less expensive per unit than low density trash can liners. High Density Can Liners are not limited to just the standard trash cans but they are available to buy as Disposable Rack Covers, Biotuff Earth Friendly Trash Bags, High Density Retail Bags or Wave Top Retail Bags. Gauge is a term used in the trash can liner industry to describe the thickness of a liner. Gauge is typically stated either in mils or microns. Mil (Mil comes from the Latin mille, which means a thousand. Your standard credit card is 30-mils thick, which equals out to be 0.03-inches thick.) A mil is a measurement based on a thousandth of an inch (.001). Linear Low Density trash can liners will range from .30 to 2.0 mils. Improved resin technologies have allowed manufacturers to produce thinner trash can liners that are much stronger than the trash can liners of the past. Micron (a metric measurement. one-millionth part of meter; micrometer). A micron is a measurement based on one hundred thousandths of an inch (.00001). High Density trash can liners range from 6 to 24 microns. For the environmentally conscious, we also carry a line of Biodegradable Low Density Trash Can Liners, which are manufactured with at least 60% recycled post industrial scrap plus a degradable additive. Types of SealsStar SealStar Seal trash can liners are manufactured by folding the bottom of the trash can liner over several times and then heat sealing it. Star Sealed bottom can liners will almost virtually eliminate leakage. Bags that have star sealed bottoms also conform better to the shape of the trash can by spreading refuse around the trash bag bottom.Gusset SealTrash bags with gussets are a flat type trash can liner that is constructed with both sides "tucked" in to form the gussets. 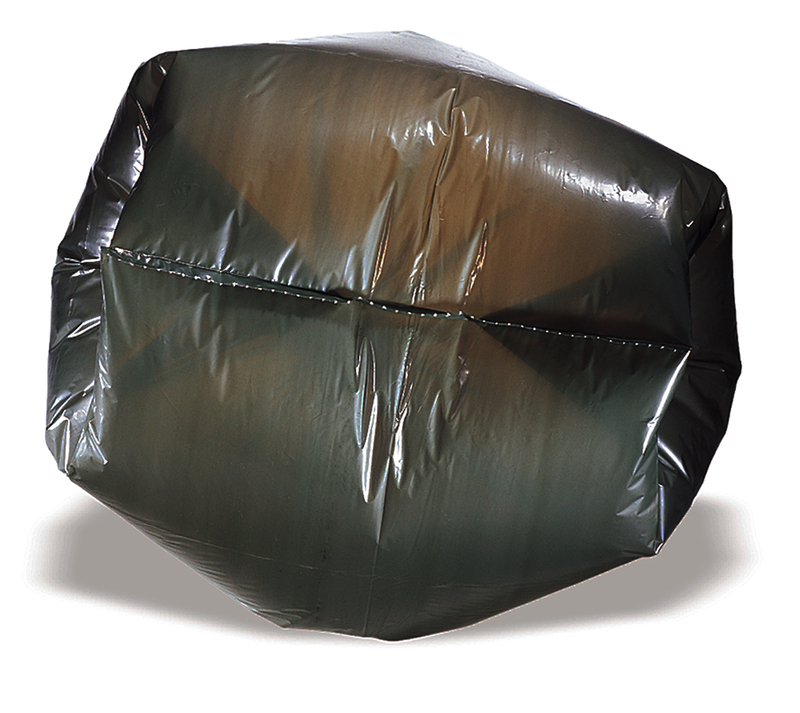 The outer edges of the trash can liners where there are indentations is sealed with the four layers of film that are folded on top of the others, while the middle of the bag is sealed with only two layers. Can Liners made with gussets have a tendency to leak with wet trash.Flat SealTrash can liners that have square corners that use a Flat Seal are converted / constructed by sealing the bottom edge of the can liner. Can Liners made with this type of seal are somewhat leak-proof and do not compromise the length of the can Liner. Trash can liners made with a flat seal do not conform well to the waste receptacle, making them difficult to utilize, but they are more cost effective due to to less material and the ease of manufacturing.Question: What mil is a durable trash liner? Answer: 2 Mil Trash Liners are usually a safe bet when looking for a durable contractor grade trash liner.